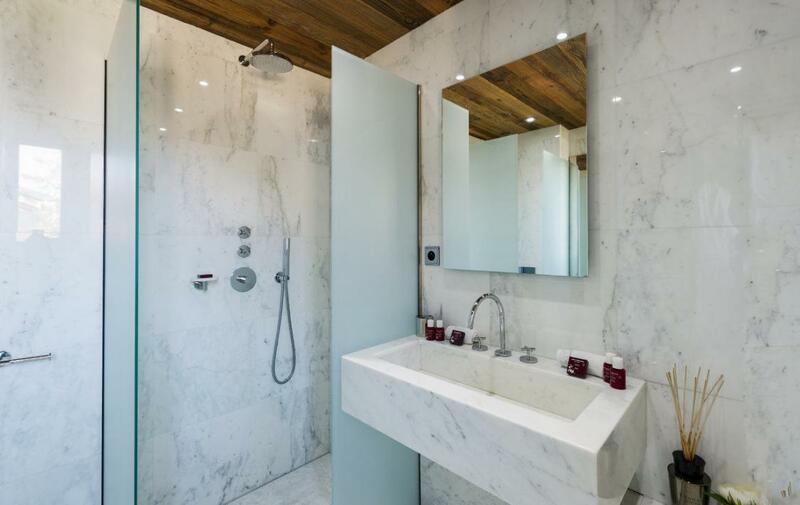 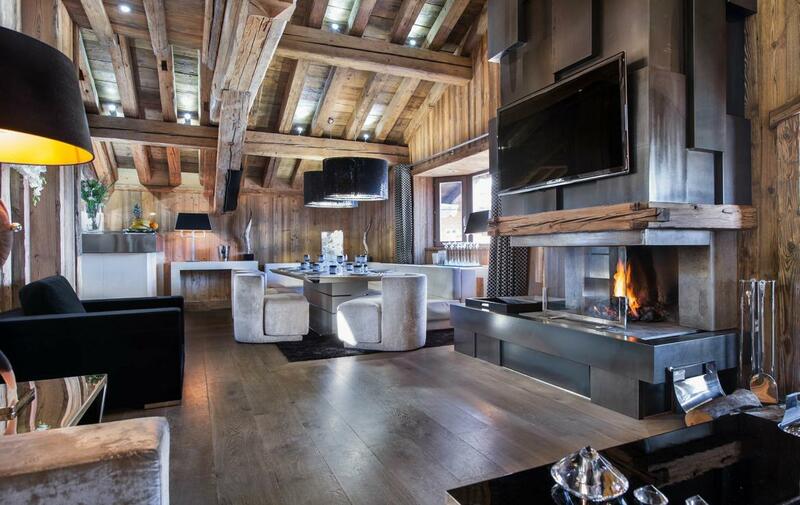 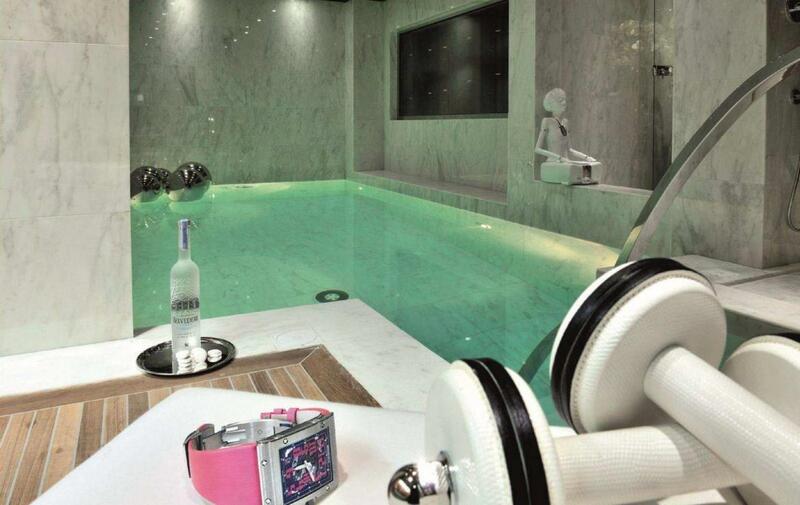 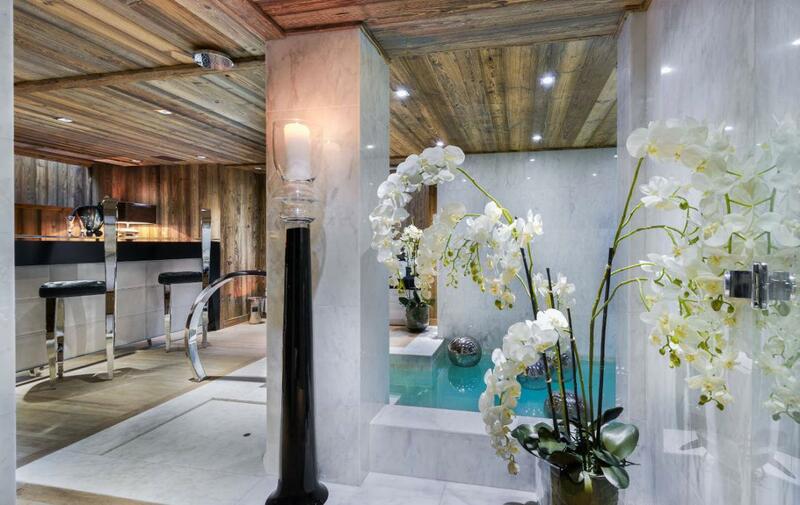 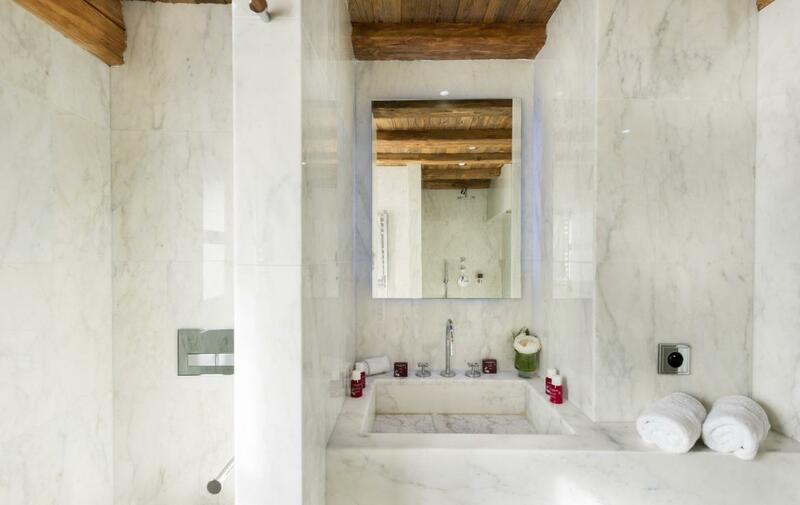 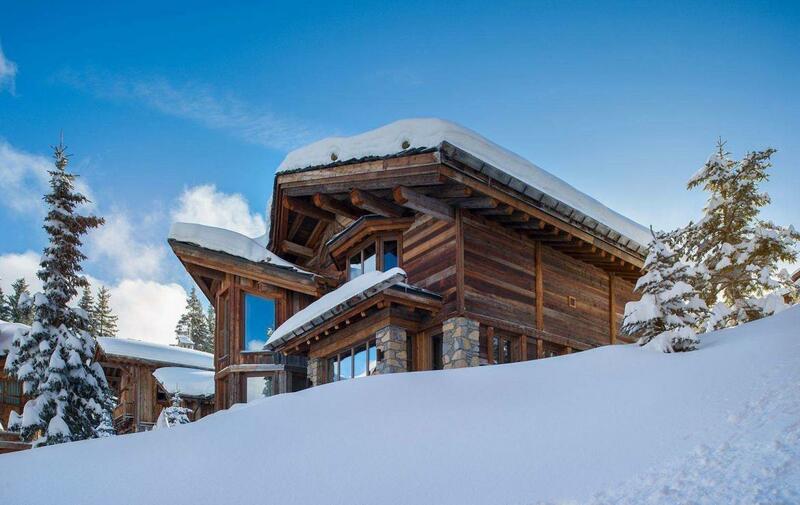 This is a stylish, modern ski chalet finished to the highest of luxurious standards. 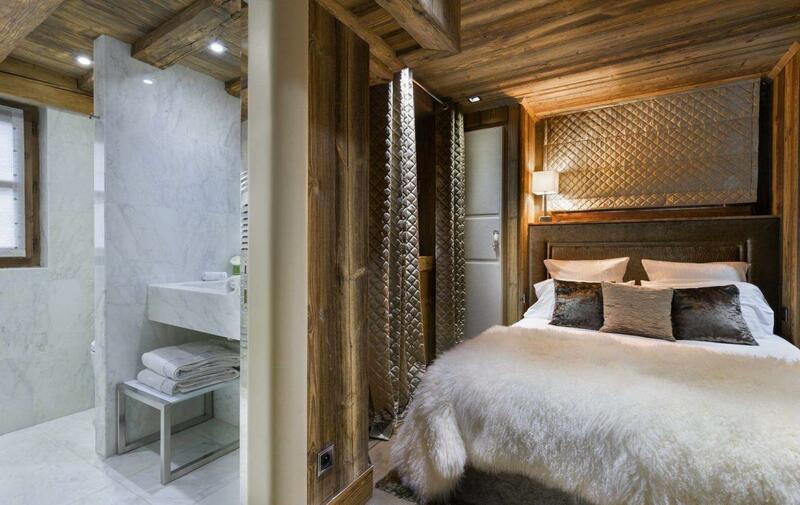 It is situated in a private area of the resort, close to the Cospillot piste and approximately 10 minutes’ walk from the centre of Courchevel 1850 or a few minutes by car. 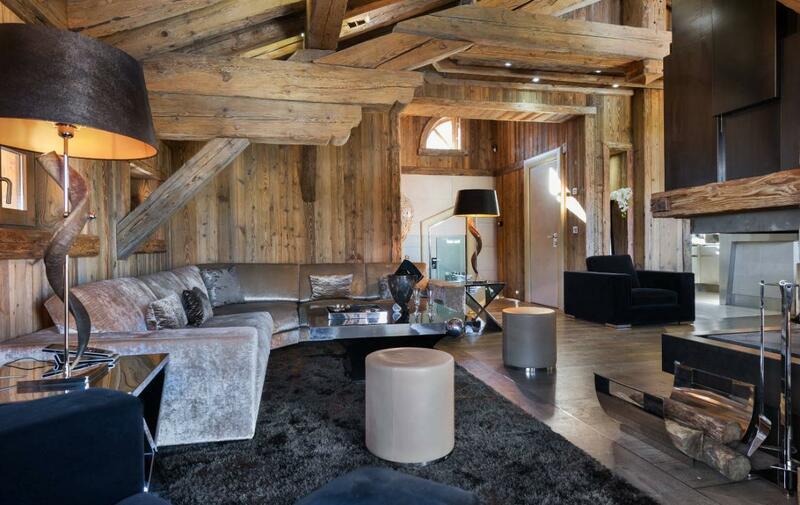 This 250m² chalet spans three levels and is adorned with high quality contrasting materials including wood, glass and mirrored furniture oozing opulence throughout. 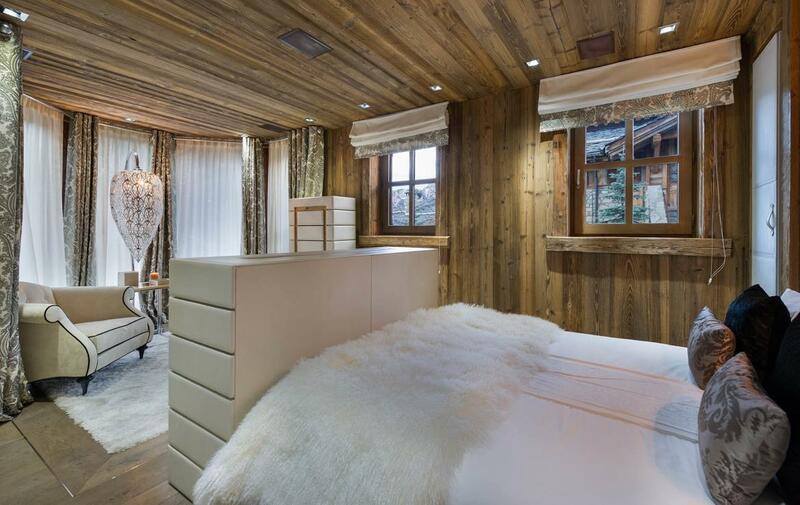 The chalet, sleeping 6-8 guests, has three double bedrooms and children’s room, all with private en-suite bathrooms. 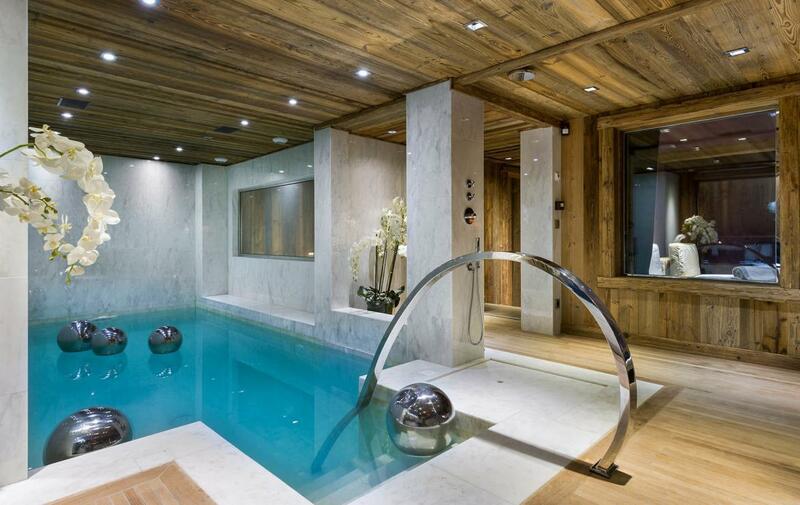 The lower level features an indoor swimming pool and relaxation area with shower and open bar area, perfect for relaxing after a day on the slopes. 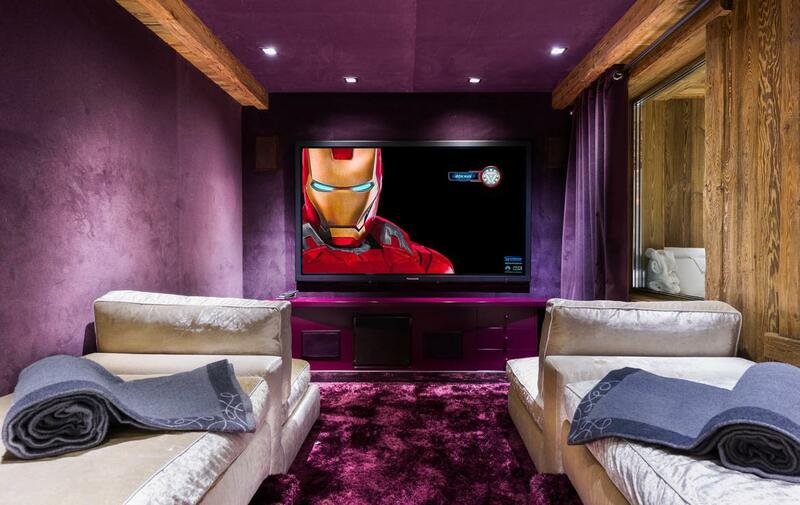 A cinema/TV room will keep guests entertained. 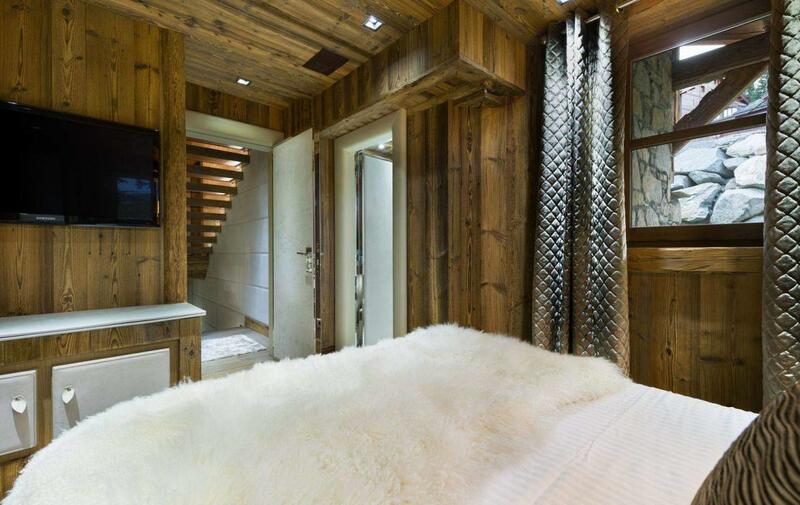 A ski room, sauna, laundry area and garage are located on the lower floor also. 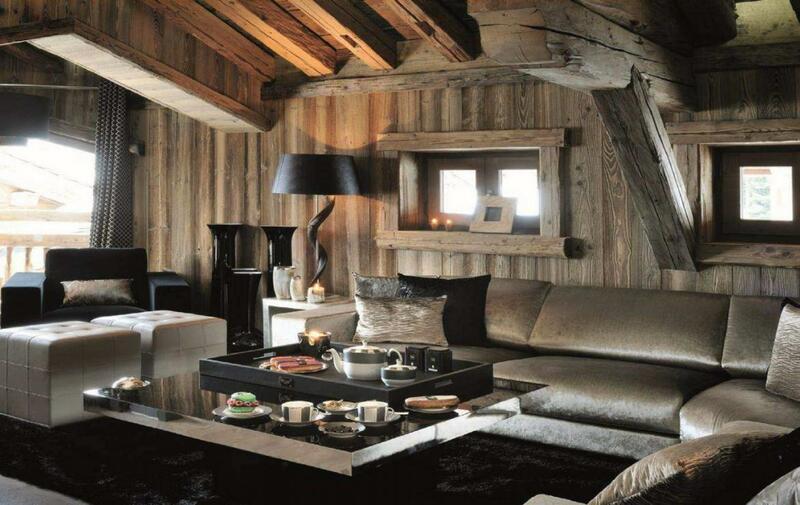 The living room feels very indulgent with a crushed velvet sofa, luxurious dining area and fully equipped kitchen. 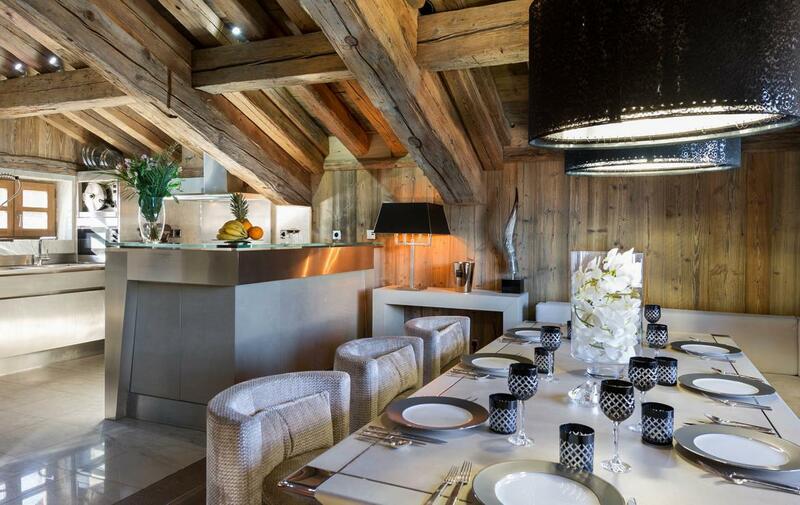 There are French doors leading to a balcony and an impressive terrace with outside dining also, perfect for al fresco lunches later in the season. 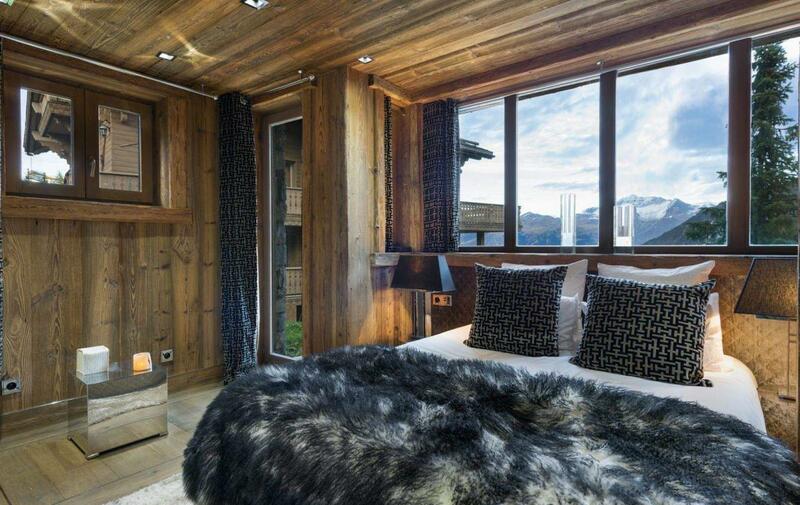 The chalet is rented on a self-catered basis with a housekeeper to prepare continental breakfast and provide daily cleaning; but it is of course possible to book on extra a private chef and/or any other extra service. 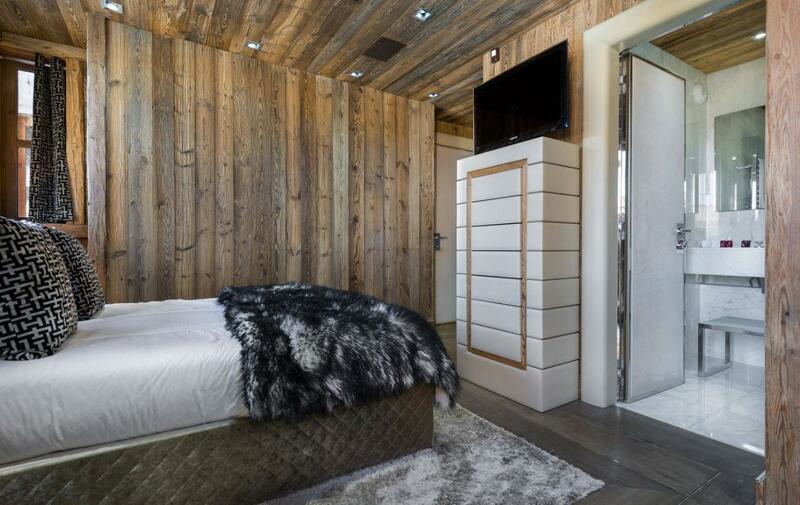 A fifth double bedroom is a self-contained apartment which has its own kitchenette and living area. 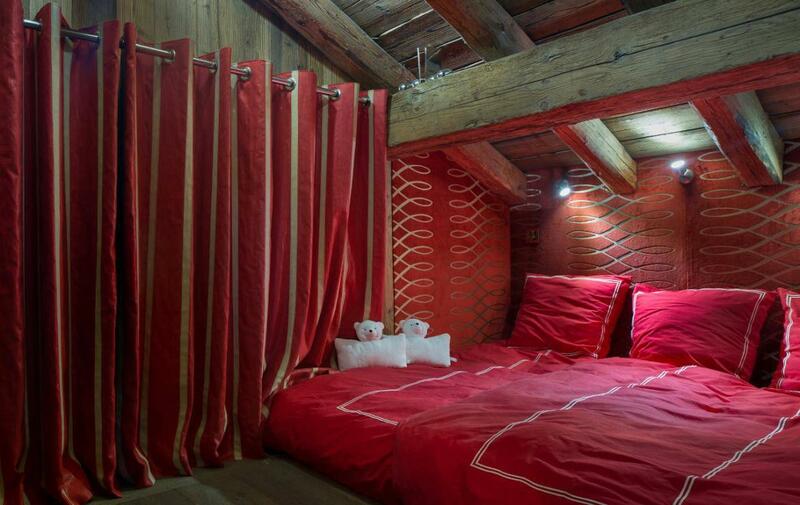 This apartment can be reached via the underground garage and is ideal if you bring own staff and/or nannies.